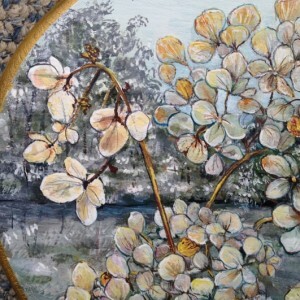 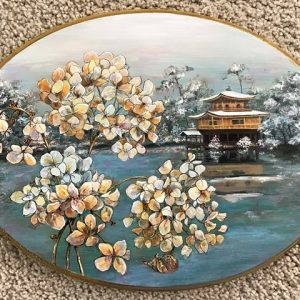 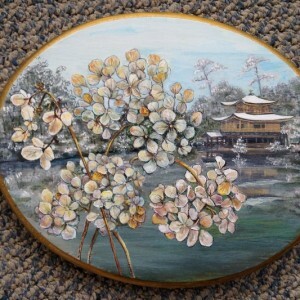 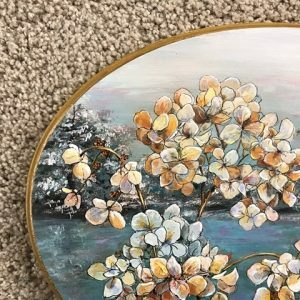 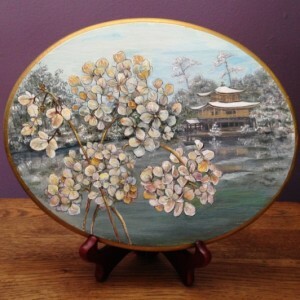 This plaque is a winter scene with dried pale blossoms clinging to the branches without bright colors or green leaves. 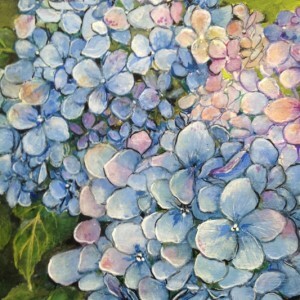 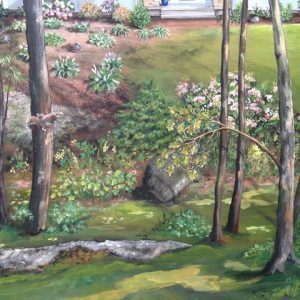 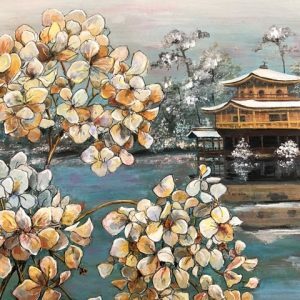 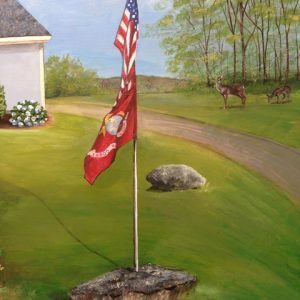 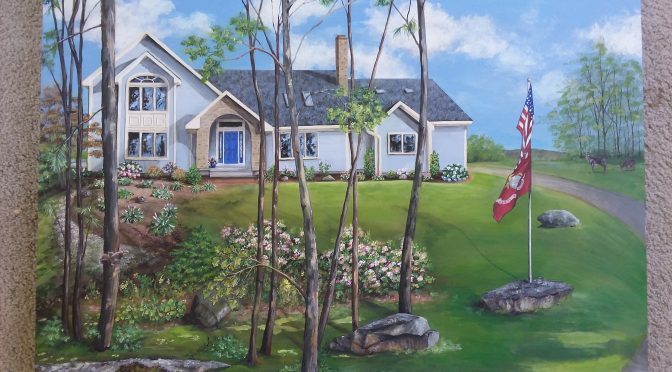 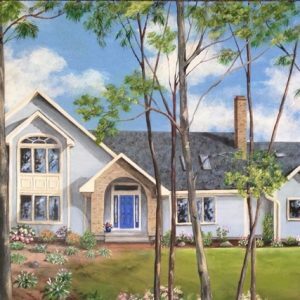 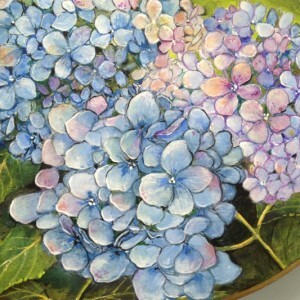 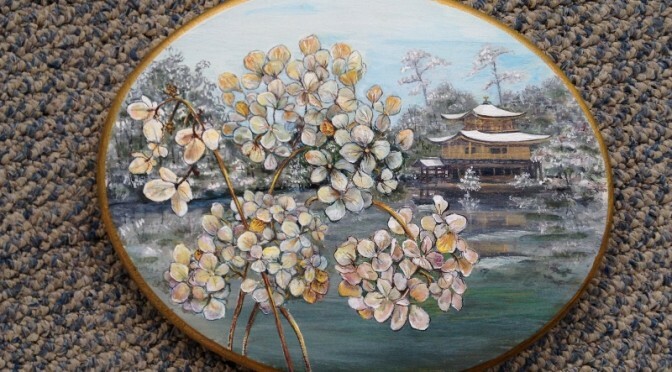 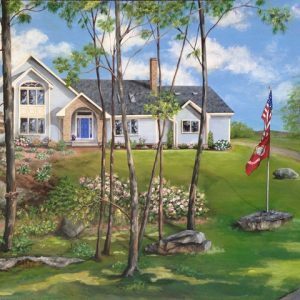 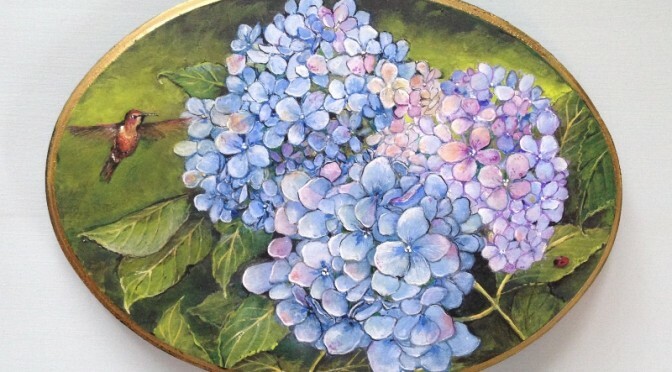 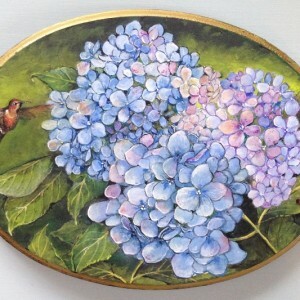 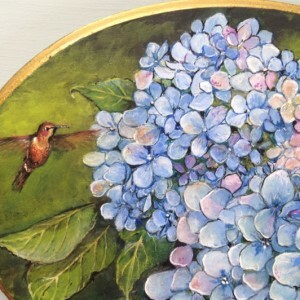 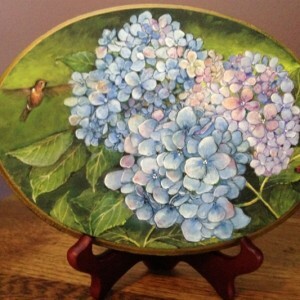 It is the fourth in a series of Hydrangeas painted in various seasons. 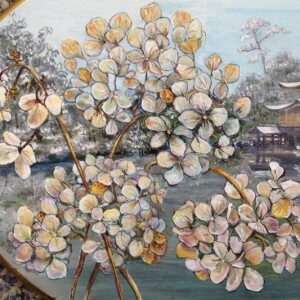 These blossoms are beautiful at every stage of life! 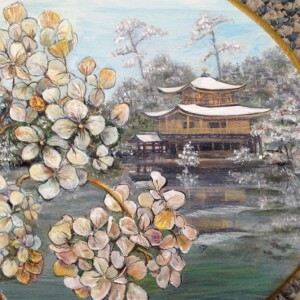 The pagoda reflecting in the water adds an interesting element. 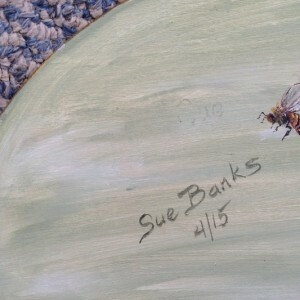 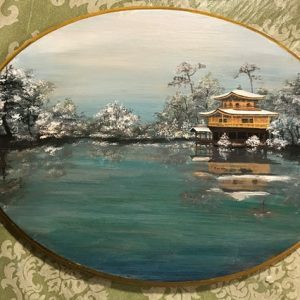 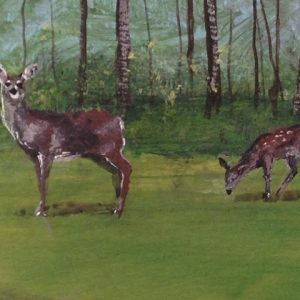 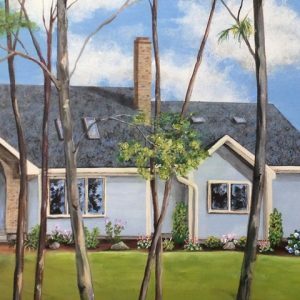 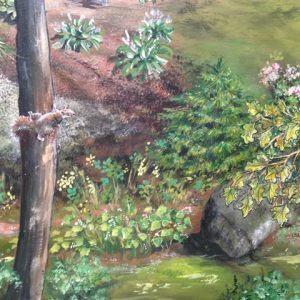 I could not put an insect or bird into the painting as it would be inappropriate for wintertime so the bee is on the reverse side by my signature!